The articles posted for previous years have been archived and links are provided to them, by year, at the bottom of this page. 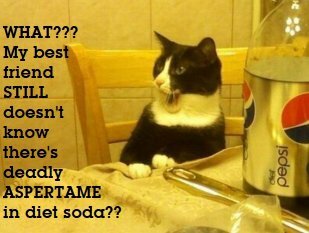 06 Mar 2019 - New Study Finds That Aspartame-Sweetened Diet Soda Causes Stroke, Dementia Risks To Skyrocket… Is Aspartame DESTROYING Brain Function? 05 Feb 2019 - OBESITY AND OVERWEIGHT What Sweeteners And Sugars Do We Consume?